COLUMBUS, Ohio – The future of food and farming in America affects every Ohioan, and it’s an issue that advocates of sustainable agriculture maintain should be a higher priority for those running for office in November. Amalie Lipstreu, policy program coordinator for the Ohio Ecological Food and Farm Association (OEFFA) says state and federal policies shape local food systems, and sustainable farming policies benefit public health, economies and the environment. She contends it would be wise for candidates to pay attention. “Clearly, food and farming issues have not risen to the top of the presidential race,” she concedes. “But we’re working to make sure state and federal candidates know what Ohioans think. 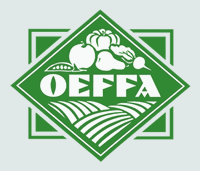 OEFFA’s “Food and Farming Questions for Candidates” guide contains key policy points and background information for voters as they attend debates, forums and other pre-election events. The guide, along with responses from candidates who answered the group’s online survey, are available at oeffa.org. Lipstreu says the guide covers major issues related to sustainable agriculture and farming in Ohio. “Whether it’s investment in local and regional food systems, whether it’s looking at the impact of fracking and wastewater injection wells, climate change, federal crop insurance, or even the issue of algal blooms and water quality,” she explains. Lipstreu hopes elected leaders learn to see the potential for sustainable agriculture, and she encourages Ohioans to be informed and engaged. “This election is a real window of opportunity for voters to ask questions, make informed decisions and get to know the candidates who may be their future leaders,” she states. Besides a new president, Ohio voters will select 16 U.S. House seats and one U.S. senator. At the state level, there are 99 House seats and 16 Senate seats up for grabs.